Michonne manages to find the prison and Rick takes her in. He's very cautious about Michonne but she tells them about Maggie and Glen's abduction. The group decides to get them back. In Woodbury, Merle interrogates Glenn and the Governor interrogates Maggie. Meanwhile, Milton is doing strange experiments on a soon-to-be walker volunteer. 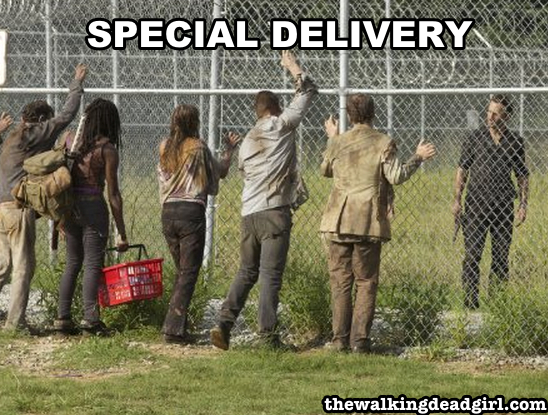 Michonne arrives at the prison bearing gifts.